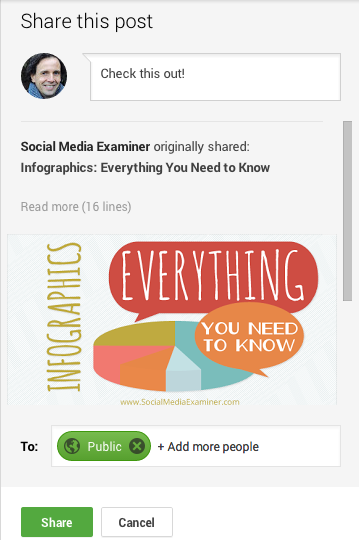 Have you created a niche for yourself on Google+? Are you ready to engage with other leaders in your space? Part of building a strong community of people around you on Google+ is forming alliances with other leaders whose work is similar to but not the same as yours. In this article you’ll discover how to develop alliances with community leaders on Google+. Why Build Alliances on Google+? Google+ isn’t yet as crowded as other social media platforms, and that means it’s easier for you to establish yourself as the authority in your niche. It’s your authority status that makes you valuable to other community leaders you want as allies. Find out how you can build alliances on Google+. As your relationship with a leader deepens into an alliance, your name will stay top of mind when people ask questions that relate to your area of expertise. You’ll be the one they recommend! Ready to get started? 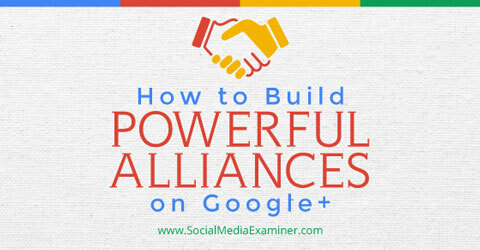 Here’s how to build alliances on Google+. First you need to recognize the difference between tribe members (your core community of followers) and community leaders. While tribe members participate in the conversations you host, community leaders host their own conversations within Google+ as well as on Twitter, Facebook and other social platforms. Just as on other social media platforms, one of the best ways to get on another community leader’s radar is to share their posts on your profile. 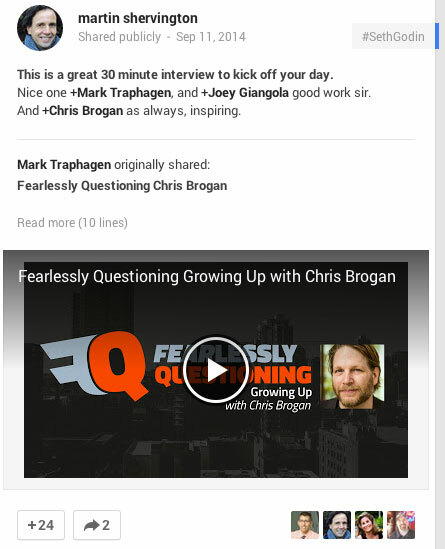 The difference with sharing on Google+ is that people may not be feeling as much love as they do elsewhere. Sharing a potential ally’s posts on your profile will get you on their radar. It’s the first step to building a relationship with another person or business. Share your potential ally’s posts consistently without going overboard and you’ll really stand out from the rest of their tribe. They’ll take notice and see the value in forming an alliance with you. As you share other people’s content, you’ll start to recognize leaders you can have the most natural and reciprocal relationship with. These prospects are likely to be others in your industry whose work complements your niche. For example, my focus is on G+ community building that delivers search results and Ronnie is focused on Google Hangouts. We’ve sat nicely alongside each other for two years now. Network with people who naturally complement your niche. After you identify the leaders you want to ally yourself with, you can either let things develop naturally or have a frank conversation to discuss how you can assist each other in community growth. There’s a lot to be gained by associating your name with the person you’re seeking as an ally. With one or two simple acts of recognition they can confirm you as an expert or the authority in your field. To help that association along, it’s a good idea to find, create or participate in projects that interest your (potential) allies. Take it upon yourself to gather the writers, designers, programmers or anything else the project needs. If you’re willing to do most of the donkey work (as we say in the UK), your potential ally is more likely to get involved. The more you collaborate, the more you highlight your ability to work in concert with and for an ally. Here are four ways to make collaborating with you attractive to a leader you’d like to have as an ally. If your prospect is actively promoting something, offer to run a Google+ campaign for them! In essence you’ll work for them for free, bringing your community together around their book, product or event in an engaging fashion. Run a campaign to promote your ally. If you know your prospective ally wants to meet someone you know, invite both of them to participate in an interview. Google Hangouts are perfect for this. If you have expertise an ally would love to know more about, embed your knowledge and create fans with their organization by training their staff for free. Be transparent about why you’re offering the training and when the time is right, not only will you have an ally but new evangelists to support you. If your potential ally is developing a new tool or product that relates to your niche, join their beta testing group on Google+. 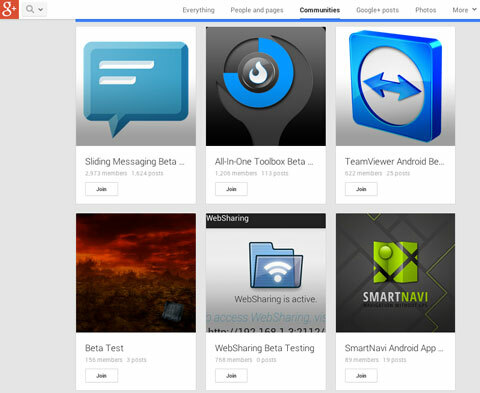 Search for beta testing groups on Google+. Offer thoughtful feedback to help them improve their product, and you’ll build an alliance at the same time. Forming an alliance is all about finding ways to support your potential ally so they can see the value you bring to the developing relationship. Not the other way around. Trust me, I’ve learned my lesson on this one. Don’t plead for others to share your material. Let them come to that conclusion on their own. Avoid asking potential allies to share your stuff during the relationship development process. Even after you’ve cemented your alliance, don’t go to the well for something that isn’t absolutely pivotal. 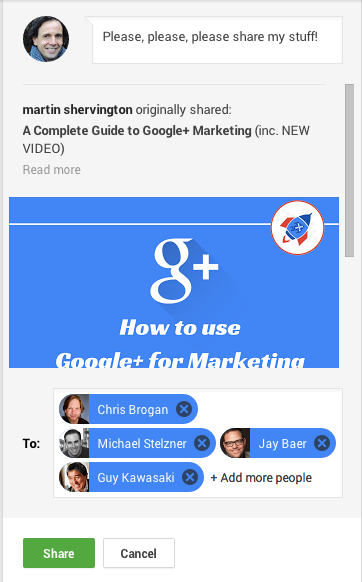 There’s a great opportunity to build solid strategic relationships using Google+. Use the tips above to get started. As you seek alliances, remember to go with the flow and develop each relationship on your potential ally’s schedule, not yours. Make it a point to be genuine and transparent about your motives; if people sense you’re not to be trusted in a deal, they’ll most likely stay away and word will spread. Once you form a few successful alliances you’ll start looking like an attractive ally to others. At that point you’ll be in a strong position to look at guest blogging, speaking at events and more. What do you think? Are you active on Google+? Have you found creative ways to support potential allies? What actions do you find most effective for building alliances? We’d love to hear what works for you in the comments.